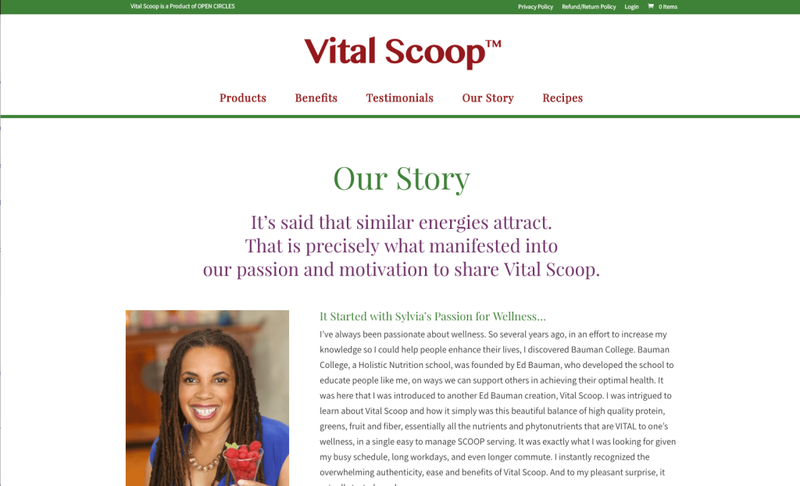 Sylvia and Andre came to me via a mutual friend and we began working immediately on a website for their new product, Vital Scoop. 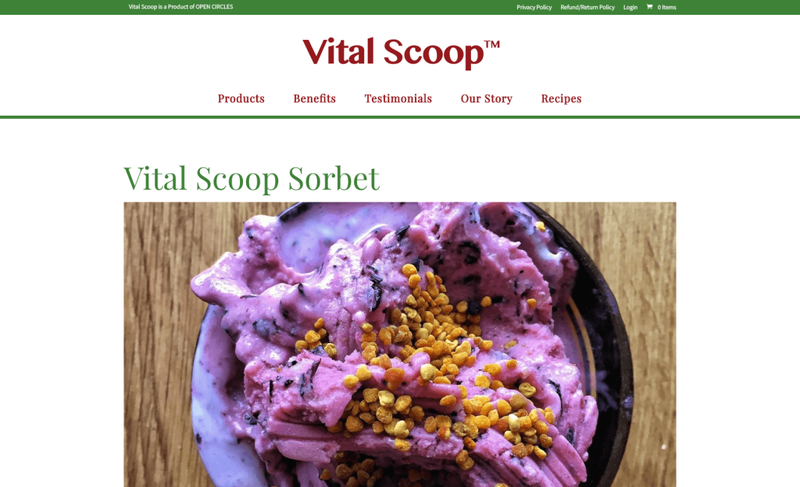 They are both brilliant business owners who needed a website that guided all their site visitors to become customers and easily make their purchases, but was super easy to manage customers and orders on their end. E-commerce stores can be tricky to set up because you’ve got to be sure you’re collecting appropriate taxes and shipping fees based. 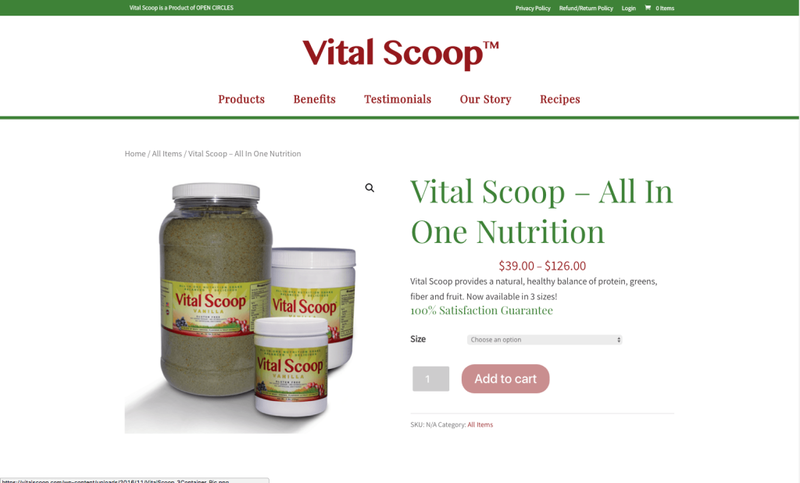 For Vital Scoop, we also needed variable products set up, so customers can select the size they want to order. 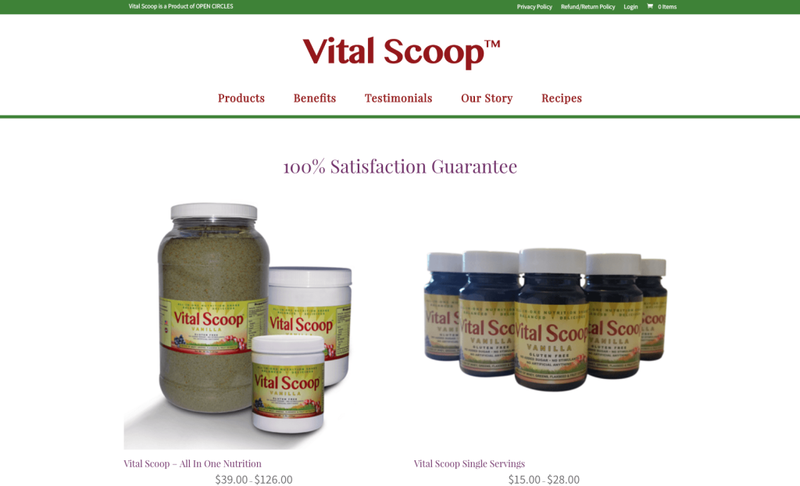 Fortunately, setting up e-commerce is a strength of mine and the final store has been a huge success, helping Sylvia and Andre move a TON of Vital Scoop. 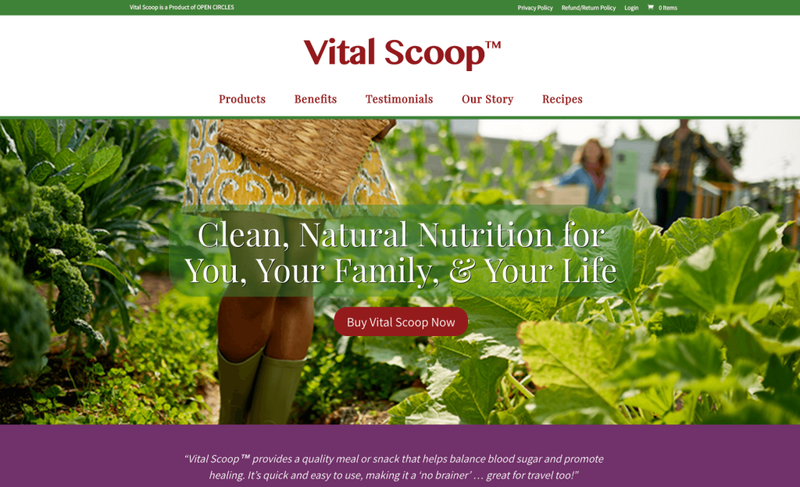 UPDATE: We just added an affiliate functionality to the website! This allows Sylvia and Andrew to partner with other business owners and offer sales commission for customers who use their referral links. VERY COOL!